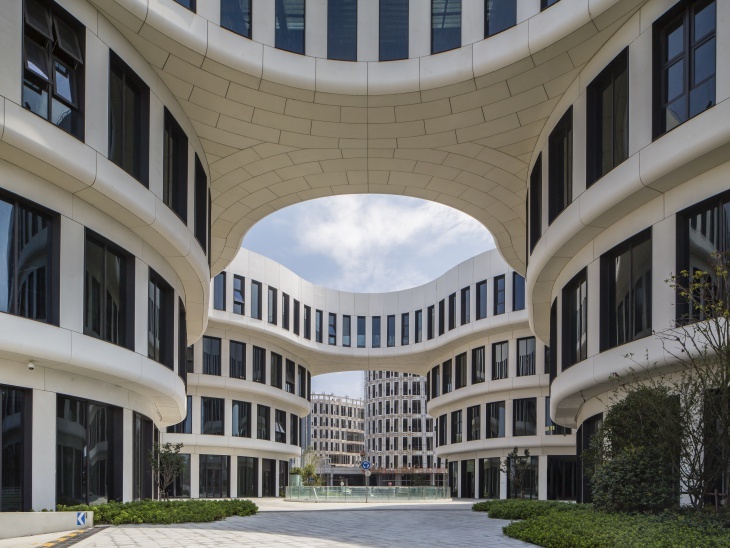 One of the most creative firms in architecture, MVRDV has won most of the prestigious international awards around the globe with their outstanding designing skills. 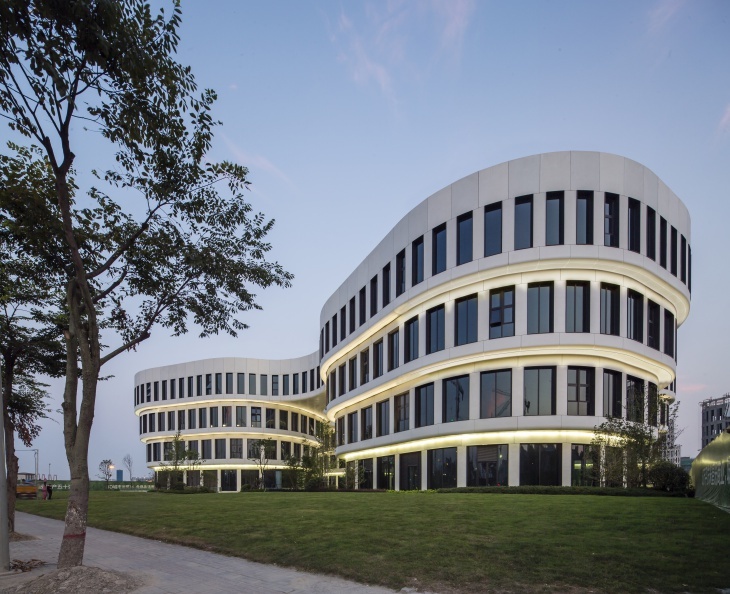 Jacob van Rijs established the firm MVRDV in the year 1993 with Winy Maas and Nathalie de Vries, with its headquarters based in Rotterdam, Netherlands. In the year 2011, Jacob van Rijs was appointed as the Chairman of the International Program of the Royal Institute of Dutch Architects (BNA). Apart from being the Managing Director of MVRDV, Jacob van Rijs has had the distinction to teach in some of the most prestigious institutions like the Royal Academy of Arts Copenhagen, Tokyo Institute of Technology, Rice University in Houston, ETSAM University in Madrid, Technical University of Berlin, just to name a few. 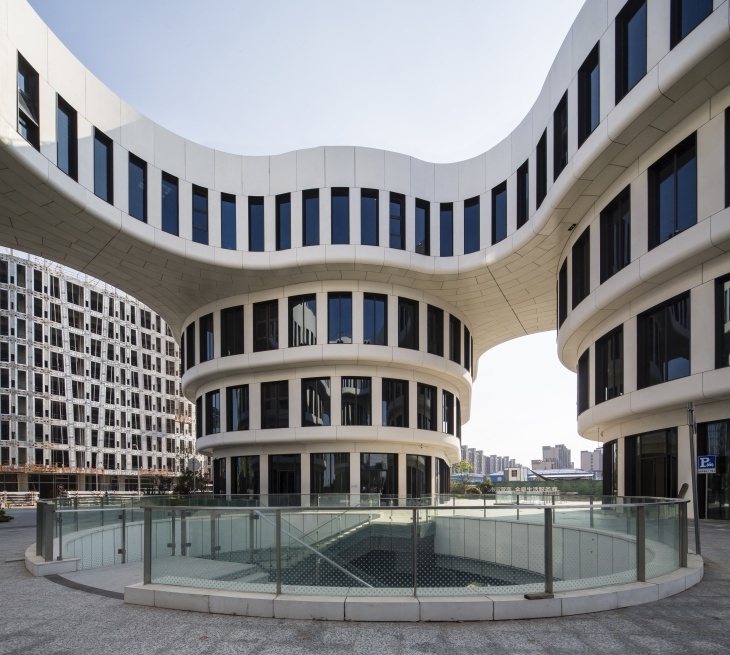 Johnny D of Design Trends interviews the renowned architect – designer to unravel some of the magnificent features of the Flower Building Project in Shanghai, China. 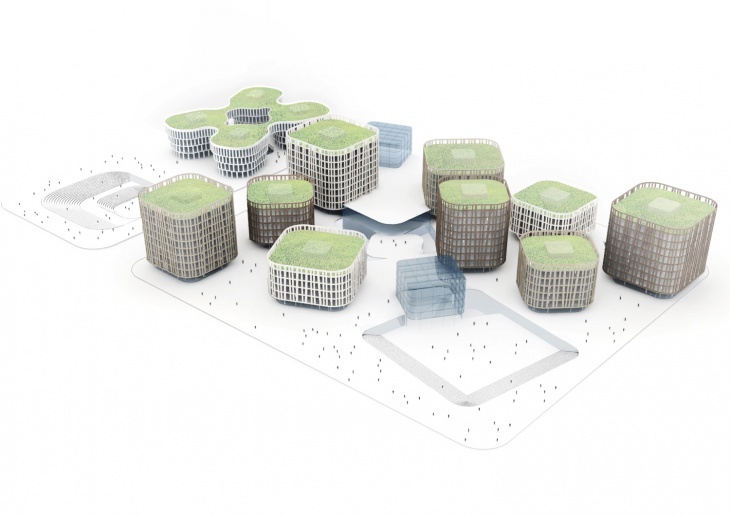 MVRDV won the international competition with their spectacular design. 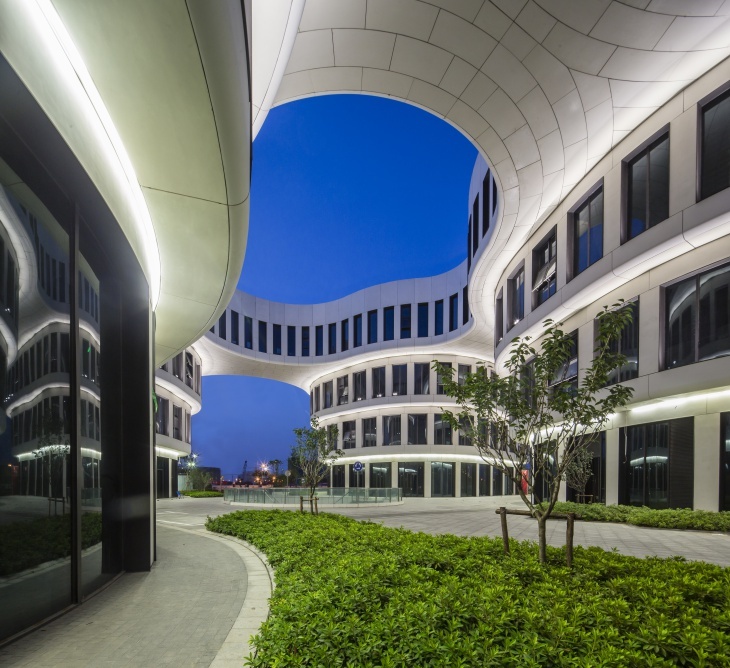 The Flower Building Project is a part of the master-plan near Hongqiao Airport in Shanghai. 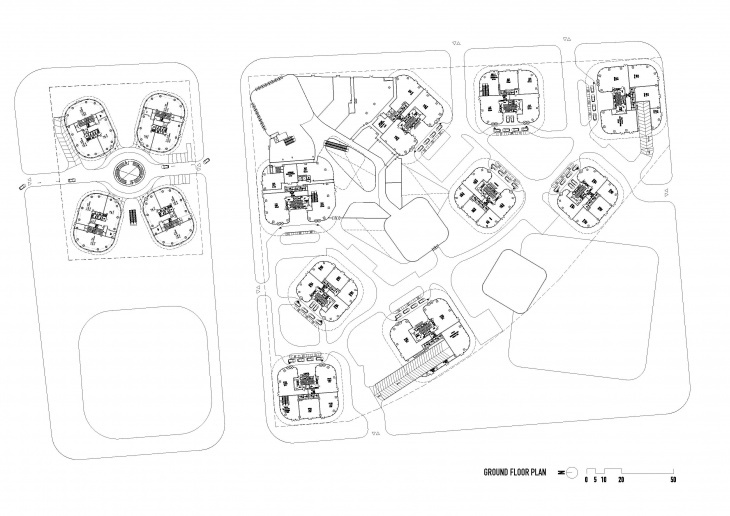 The master-plan includes offices, retail space, parking and public amenities. 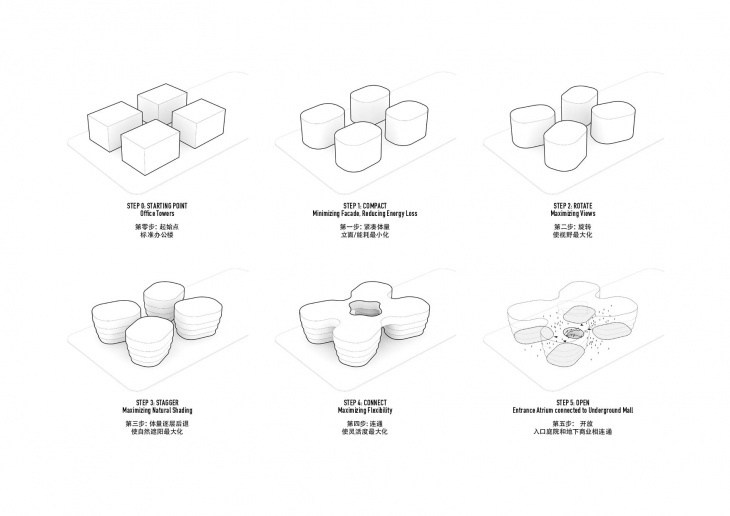 Johnny D: What are the current projects of MVRDV? Mr. Jacob van Rijs: MVRDV is currently doing a variety of housing projects in the Netherlands, France, China, India, and other countries. A community centre in Copenhagen and a cultural complex in Roskilde, Denmark; a public art depot in Rotterdam, the transformation of a mixed-use building in central Paris, an office complex in Shanghai, and a commercial centre in Beijing, and the renovation of an office building in Hong Kong. MVRDV is also working on large scale urban master-plans in Bordeaux and Caen, France and the master-plan for an eco-city in Logroño, Spain. Larger scale visions for the future of greater Paris, greater Oslo, and the doubling in size of the Dutch new town Almere, are also in the development. 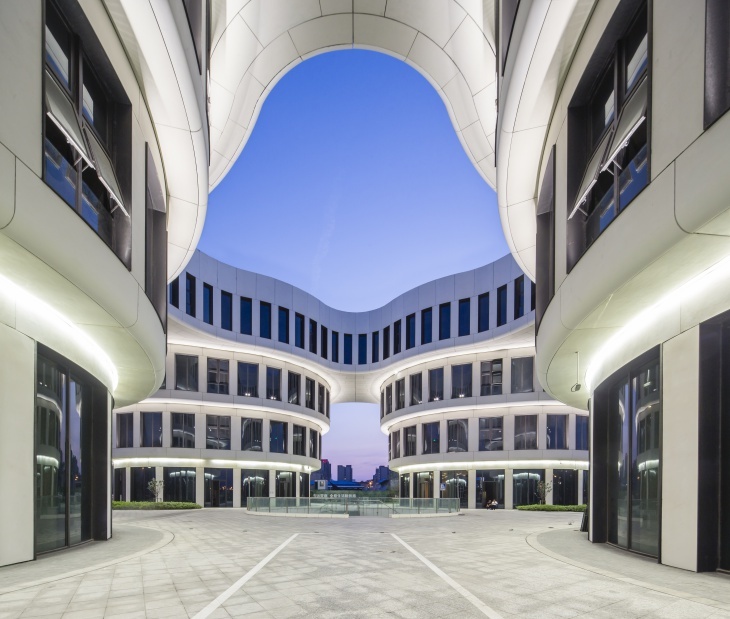 Mr. Rijs: The client’s brief was to design a 4.5 Ha master-plan near the Hongqiao Airport in Shanghai China including offices, retail space, parking and public amenities. The Flower building is part of this master-plan. The project was a result of a competition that we won. JD: To design the master-plan, how many brainstorming sessions it took for the ‘Team’? Mr. Rijs: The competition had to be done in a very short period of time. We developed different concepts and quickly decided to go for the current idea. 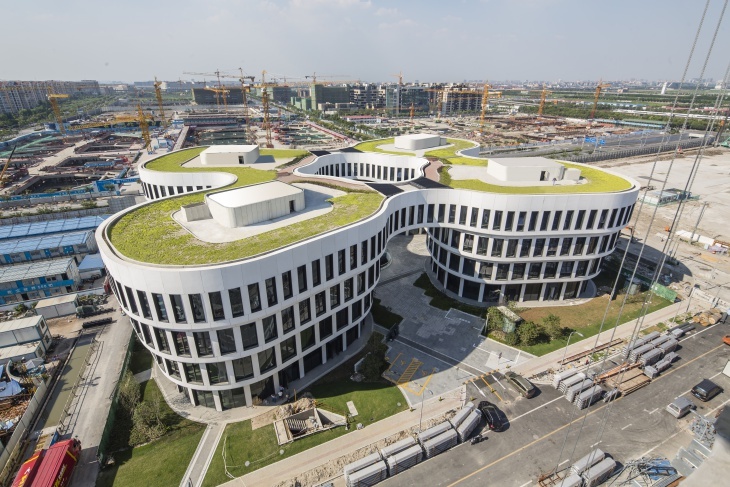 JD: What were the major challenges to design the “Hongqiao Flower Building, China” project? Mr. Rijs: The above ground program for the overall project is mainly offices. Yet, the client wanted to have one building that was different from the rest. More special and exciting! The main difficulty was, how to make something different, that is essentially the same. Mr. Rijs: We did many studies for this part of the project. Mainly, volume studies to define the balance between ‘some exciting’ and a functional office-building. Merging 4 standard volumes, into one special one, was the key. It became exciting and functional at the same time. It helped a lot to look like a flower. People do not really like functional office buildings, but like flowers. 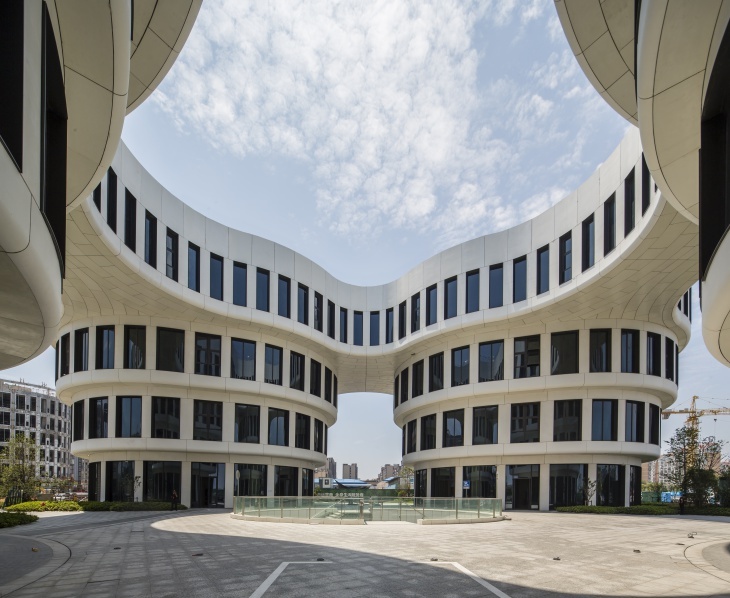 However, it was never the intention to design an office building, which looks like a flower. JD: Please state the reason(s) behind the use of curved lines to achieve the elegance in design. Mr. Rijs: The curves came from the main concept of the project. 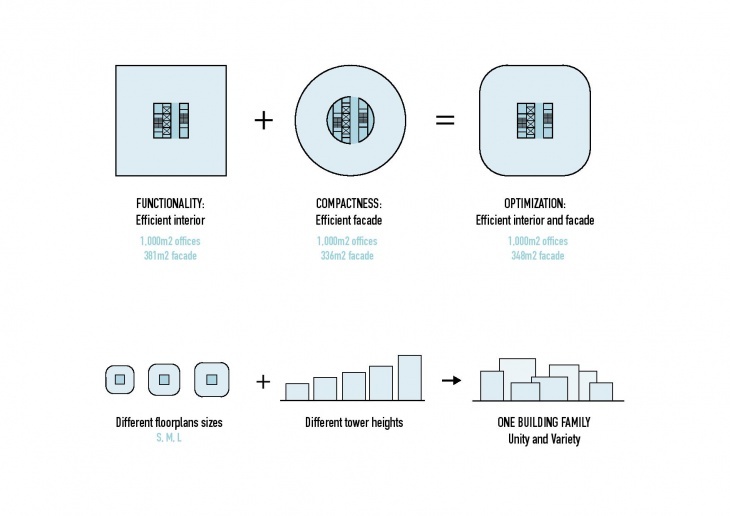 The idea was to create an optimal office floor, by combining the square shape (efficient floor plan) with a round shape (efficient in façade surface and energy consumption). The client wanted to create something elegant and functional, like ‘my iPhone’, he said. I looked at the icons on the screen of my iPhone and thought, the shape of these icons, (square with rounded corners) would actually be a great floor plan. The flower-building was a development from this ‘typical’ floor plan into a special building. Four standard buildings were twisted and merged at the top. The floor plan of the top floor became the logo for the project. As mentioned before, people like flowers. JD: What was the time-period taken from the designing stage to the completion of the project? Mr. Rijs: To respect the client’s request, we cannot disclose the project cost. 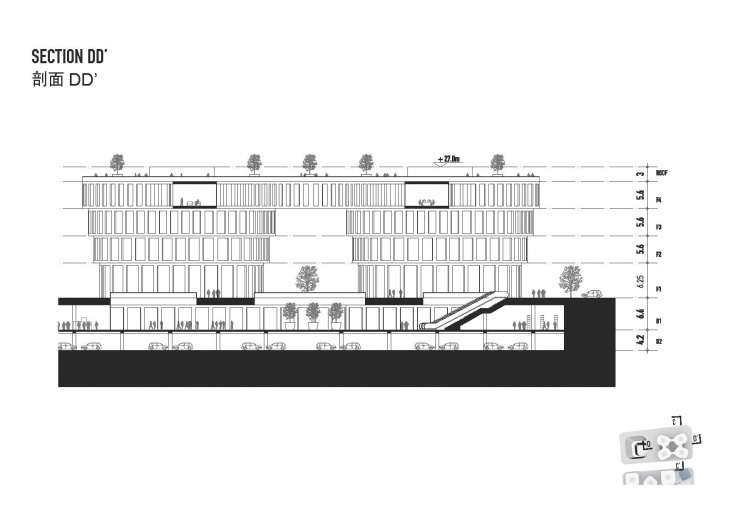 Mr. Rijs: The gross floor area of the project is approximately 15.000m2. The Flower Building is part of the master-plan, of which the next phases are being developed currently. 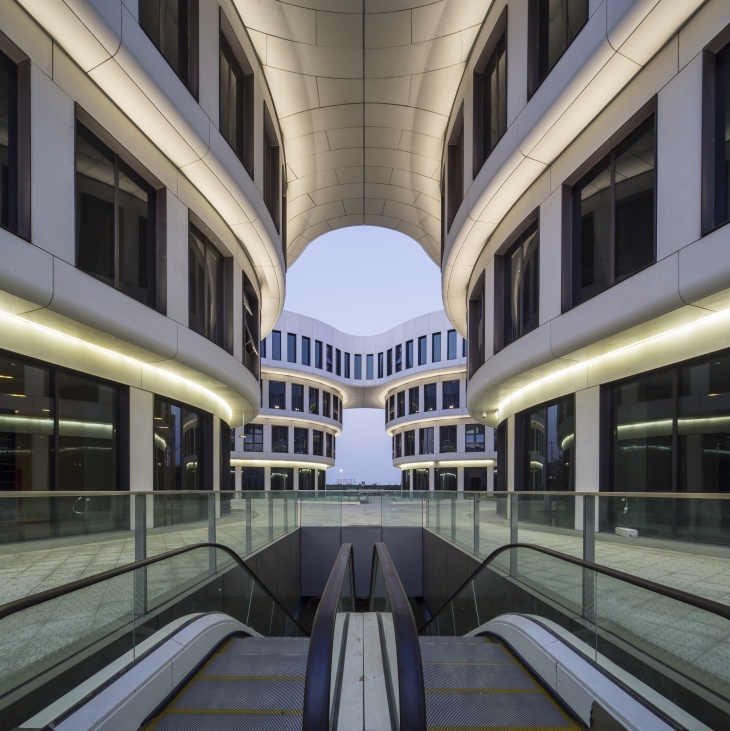 The master-plan’s mixed-use program includes a total of 110,000 m2 of offices, 47,000 m2 of retail space, and 55,000 m2 of parking. JD: What is MVRDV’s Signature Style? Mr. Rijs: We do not really have a signature style. Our work is very diverse and we try to come up with the most suitable solution. We have developed a more conceptual approach and methodology that goes beyond a signature style. JD: What are the ‘Sustainability’ characteristics of the Flower Building? Mr. Rijs: The Hongqiao Central Business District will achieve three stars, the highest ranking of the Chinese ‘Green Building Label’. 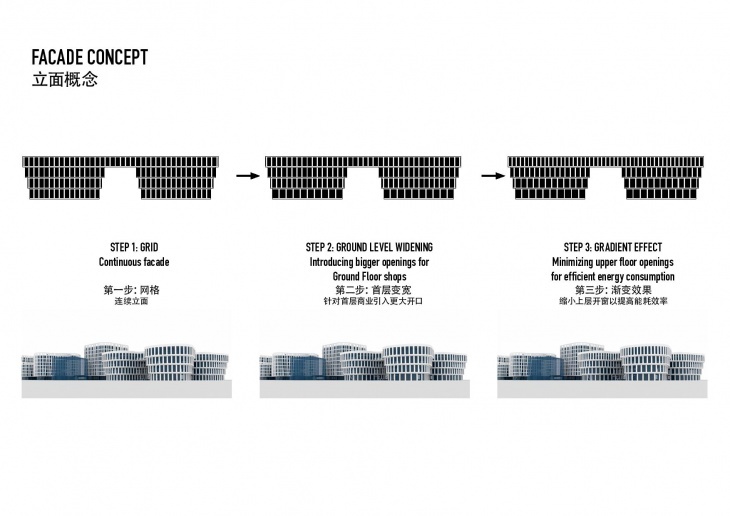 Sustainable building features include high performance insulation, optimized building forms, shaded spaces, natural ventilation, rainwater collection, permeable road surfaces, links to public transport and a reduction in the urban heat island effect. 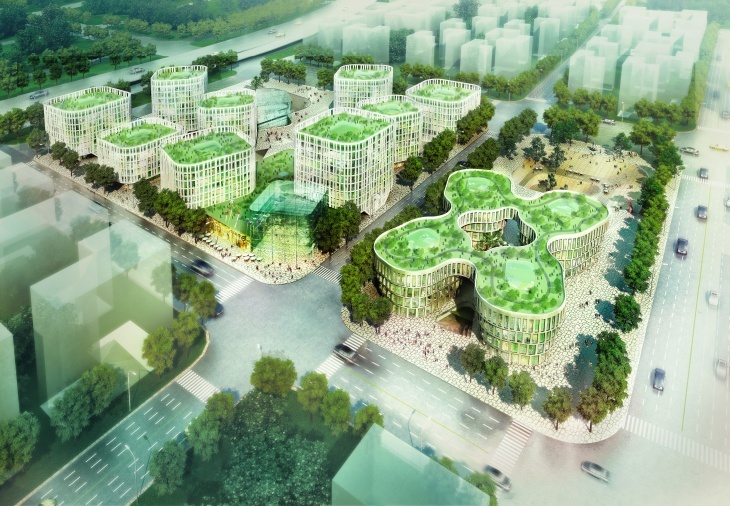 All the 10 buildings will also offer green roofs, as a habitat for local species. JD: How would you describe winning awards for your creativity? Mr. Rijs: Awards are always handed out after all the hard work has been done and the project is finished. It is very rewarding and pleasant to know that your work on a certain project is acknowledged. However, at the same time our minds are already busy with the new projects. Awards are for looking back and we tend to look ahead. It is always good to have a nice party, every now and then (smiles). JD: Please mention some of the major awards won recently by your firm.